Seventy-five years ago, (June 1934), the world looked very different than it does today: the Great Depression was approaching its fifth year, Germany had installed Adolf Hitler as its chancellor the year before, and most eastern European Jews in the United States lived in ethnic enclaves stretching from New York’s Lower East Side to the Boyle Heights district of Los Angeles. Four months earlier, one thousand mostly immigrant Jewish activists had gathered at the Lower East Side’s Central Plaza. In Yiddish and broken English they protested Hitler’s rise to power and voted to form a new organization — the Jewish Labor Committee. The JLC selected visionary leaders as officers. Baruch Charney Vladeck, general manager of the Jewish Daily Forward, accepted the post as president and David Dubinsky, president of the International Ladies’ Garment Workers’ Union (ILGWU), was named treasurer. Joseph Baskin and Benjamin Gebiner, from the Workmen’s Circle, the largest American Jewish fraternal organization, became secretary and executive secretary, respectively. 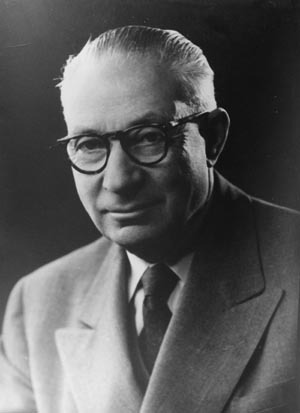 Sidney Hillman, president of the Amalgamated Clothing Workers, was an important founder but did not become an officer in the group. The organization of organizations dedicated itself to working within the labor movement and the larger Jewish community to raise the alarm against Nazism. This concern about oversees events and the instinctive reliance on their unions and fraternal groups as sources of organizational strength was part of a long political tradition. It reflected shared values and common roots in the General Union of Jewish Workers of Russia, Poland, and Lithuania (or Jewish Labor Bund). This underground organization — committed to socialism, unionism, and Jewish culture — represented a powerful force in the Jewish communities of these countries. Personal relationships and shared experiences (such as time in the Czar’s prisons) reinforced organizational and ideological bonds. In part due to serendipity, California was one of the first states to have functioning JLC chapters, despite its geographic distance from New York and relatively small Jewish community (roughly a hundred thousand) in the state. 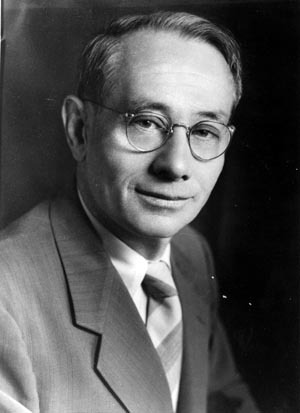 Working through Dubinsky, who had recently been appointed to the AFL Executive Council, the group arranged for Vladeck to address the October 1934 AFL convention in San Francisco. The JLC recognized, however, that the best messenger would be a European labor leader, so it arranged for the AFL to invite Walter Citrine to address the convention. He was general secretary of the British Trades Union Congress and president of the International Federation of Trade Unions. Citrine had chaired IFTU emergency meetings in Berlin and Vienna in an effort to help the German unions respond to the early Nazi threat. After the Nazis’ effective shutting down of the once- powerful German unions and the imprisonment and torture of some of their leaders, the British unions had provided refuge for those able to escape. Green then named Dubinsky, Vice President Matthew Woll, and himself to the committee. Green then appointed Dubinsky to represent the AFL at International Labor Organization meetings in Geneva. This provided an opportunity for the JLC leader to meet with labor leaders in western Europe and to visit fellow Jewish Labor Bundists in Warsaw and Lutz, Poland. 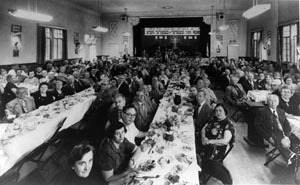 While in San Francisco, Vladeck and Citrine addressed “influential Jews” at a special luncheon at the Sir Francis Drake, and a thousand unionists at a San Francisco Central Labor Council — sponsored meeting at Eagle’s Hall. Following the convention, Vladeck and Citrine boarded a train for Los Angeles. On Sunday, October 14, 1934, 6,500 workers — Jewish and non-Jewish — came together at the Shrine Auditorium to learn about developments in Europe. Vladeck helped put a Jewish imprint on the event while Citrine’s first-hand experiences and role as the most prominent trade unionist in the world helped frame the anti-Nazi cause as an international struggle against evil. David Dubinsky arrived on the heels of this successful mass meeting. He, too, was making a number of stops as he worked his way home via train to New York. His visit provided further opportunity for the leaders of the overlapping organizations that composed the JLC to strategize and begin to self-organize. The Jewish Labor Committee of Los Angeles began to function as a distinct organization in early 1935 under the leadership of Julius Levitt, west coast Jewish Daily Forward manager. The organization established an office downtown with the Forward in the Stack Building at 228 West Fourth Street. The founding JLC affiliates of Los Angeles’ Jewish community included the Forward Association, the Southern California District Council of the Workmen’s Circle, fourteen Workmen’s Circle branches, and the Left Labor Zionists. The JLC had seven founding labor affiliates: four locals of the ILGWU, Local 278 of the Amalgamated Clothing Workers, Local 453 of the Bakery and Confectionery Workers Union, and Local 48 of the Millinery Workers. The Los Angeles JLC took the initiative to spread the word about the evils of Nazism. It sent a letter to all Jewish organizations asking for their assistance in advance of Passover, a time when people bought domestic items such as kitchen supplies and clothing. The local JLC also reached out to organized labor and distributed hundreds of copies of “Labor, Democracy and Fascism” that were supplied by the national office. It also ordered copies of the dramatic poster, “Fight Fascism and Nazism.” In addition, the Los Angeles JLC began raising funds for the AFL Labor Chest for Aid of the Oppressed Peoples of Europe. The JLC used visits by its New York-based leaders to promote the organization and the anti-Nazi cause. For example, in May 1936, the Los Angeles JLC sponsored a mass rally and fundraiser with ILGWU President David Dubinsky. The JLC also increased its efforts to activate its affiliates in the smaller communities around the state where there were no garment unions. In many of these communities, the Workmen’s Circle provided the central organization and the Jewish Daily Forward served as the chief communications vehicle. The ILGWU sent a German trade unionist — a recent escapee from a Nazi concentration camp — named Brother Ricks to San Francisco as part of a national speaking tour. But the stories coming out of Germany were often met by resistance or disbelief in the larger community. The attacks on Jews in Poland were increasing at an alarming rate. To demonstrate the seriousness of the situation and attract world attention, the Jewish Labor Bund and the Left Labor Zionists conducted a one-day strike. Shops in Tel Aviv, in British-run Palestine, closed in solidarity. The national JLC launched an “emergency campaign on behalf of the Jews in Poland” in early 1937. The JLC worked through the American Jewish Joint Distribution Committee to increase the amount of food going to Polish Jews. The JLC also raised funds for Polish trade unions. As a result of this sustained activity that reached into nearly every immigrant neighborhood, by 1938, the JLC was considered one of the “big four” national Jewish defense organizations along with the American Jewish Committee, American Jewish Congress, and Anti-Defamation League. The shattering of glass and the wailing of the suffering soon drowned out the sound of doors being closed to Jewish refugees around the world. On November 10, 1938, German gangs looted Jewish-owned stores, burned synagogues, and beat people in the streets. It was Kristallnacht, or Night of the Broken Glass. The JLC held an emergency meeting with its affiliates two-and-a-half weeks later in New York. The 2,236 delegates from 528 unions and other groups pledged to expand the Nazi boycott and to raise money to aid refugees. The group voted to donate a day’s labor from every member of every affiliate; Dubinsky pledged $1 million dollars from the garment union alone. The California JLC responded to the national call for action. It assumed a leadership role in the larger Jewish community by working through the recently formed Los Angeles unit of the Joint Boycott Council of the American Jewish Congress and the Jewish Labor Committee. The group called for a month of anti-Nazi activities, beginning December 4, 1938, and culminating January 4, 1939, with a rally at the Philharmonic Auditorium. An expanded agenda and an enhanced level of organization came together over the 1941 Labor Day weekend at the JLC’s first Pacific Coast Conference. The conclave was not held in Los Angeles, however, but at the Hotel Californian in Fresno, where half of Fresno’s four hundred Jewish families spoke Yiddish, and seventy-five were part of the Workmen’s Circle (and thus the JLC). This western conference attracted participants from newly organized JLC chapters in Portland and Seattle. Fundraising had become a preoccupation. 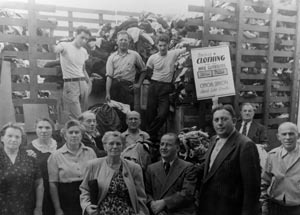 Seeking an opportunity in the new U.S. alliance with the Soviet Union’s counterpart (following Germany’s invasion of its former ally), the JLC also undertook a clothing drive to help Jews seeking to survive a harsh winter in Soviet-controlled lands, including half of Poland. Sherman, from the national office, returned to California in 1942 to raise money and to address the annual convention of the AFL California State Federation of Labor. Julius Levitt, chairman of the Los Angeles Jewish Labor Committee, addressed the state convention of the CIO. His speech represented the public face of the JCL in the labor movement and provided invaluable insights into developments in Europe. The full extent of the carnage became clear two-and-a-half years later after the war. With the end of World War II, the JLC in Los Angeles (and in other cities) developed a two-pronged approach to its work: the Yiddish-speaking immigrants continued to focus on resettling refugees, and sending shoes and Yiddish books to those still in Poland; their American-born children looked outward and increasingly sought alliance with members of other groups to eliminate discrimination in employment. In the post-war years, the JLC helped found and guide two important institutions — the Jewish Community Relations Council (JCRC) and the AFL Central Labor Council’s Labor Committee to Combat Intolerance in Los Angeles. The Central Labor Council established the Labor Committee to Combat Intolerance in 1946 at the initiation of Levy and the ILGWU. Moreover, the JLC provided a full-time staff person for the committee, Zane Meckler, who also served as the JLC’s first English-speaking staff person in Los Angeles. The committee promoted fair employment practices within labor (as some unions still discriminated) and worked in coalition with minority groups to promote new laws. Its first big project was to rally support for (the unsuccessful) Proposition 11, to outlaw employment discrimination, on the November 1946 ballot. The JCRC was formed to serve as the official voice of the organized Jewish community in dealing with non-Jewish religious traditions and minority groups. 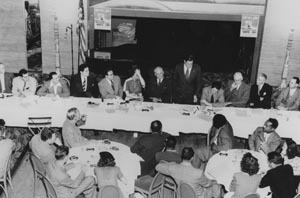 The JCRC included the ILGWU’s Louis Levy and four prominent businessmen who shared socialist politics and top leadership positions in the JLC. These were Ben Solnit, shoe manufacturer, vice president of the JLC, and third vice president of the JCRC; Pinches Karl, owner of Karl’s Shoes, JLC vice president, and treasurer of the JCRC; Harry Sheer, attorney and treasurer of JLC and JCRC board member; and Julius Levitt, West Coast editor of the Jewish Daily Forward, founding president of the Los Angeles JLC, and JCRC board member. Max Mont replaced Zane Meckler as the group’s civil rights staffer in Los Angeles. Mont and Bill Becker, who was hired to staff a similar post in San Francisco, was widely association with the civil rights movement of the 1950s and early sixties. Lay leaders in this period include Hyman Weintraub, who inherited his politics from his immigrant father, a Forward editor in Los Angeles. After initially working for the ILGWU, Hy became a teacher, writing a book on labor leader Andrew Furuseth, and forming the California Federation of Teacher’s Community College Council. These broad-based coalitions included minority groups (NAACP, the Mexican American-oriented Community Services Organization, Japanese American Citizens League), the faith community, and organized labor. They led to additional successful coalition efforts, from defeating the so-called Right-to-Work initiative in 1958, to passing old age pensions for non-citizens in 1961. 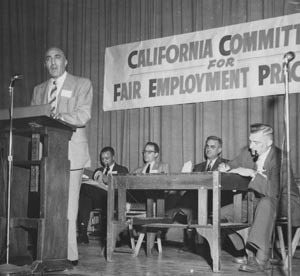 Mont became executive director of the JLC and maintained two offices, one at the Jewish Federation and another at the Los Angeles County Federation of Labor. Becker became Gov.Pat Brown’s civil rights advisor. Mont also organized and staffed the Emergency Committee to Aid Farm Labor, which publicized abuses to agricultural workers and pressured Congress to end the bracero program. It arranged for former Tonight Show host Steve Allen to pen The Ground Is Our Table: An Ardent and Heartbreaking Look at the Shame of America’s Farms. When the Delano grape strike started in 1965, Mont, Allen, and other anti-bracero activists (including Congressman Edward Roybal and Chris Hartmire of the Migrant Ministry) supported the United Farm Workers’ strikes and boycotts. In the fight to secure freedom for Soviet Jewry, the JLC lined up support from other ethnic and racial groups in the civil rights coalition to aid those seeking visas in Russia. This golden era of civil rights coalition work represented the second period for the JLC; it represented a high water mark for civil rights liberalism. The ties to minority and faith communities had been built on the struggles against fascism within the labor and Jewish communities. The JLC entered its third period under the guidance of Michael Nye, its first staffer since the death of Max Mont; he assumed lay leadership after his election as secretary-treasurer of the California Federation of Teachers. As a group, the JLC now comprised individuals, although it still sought financial backing from labor and Jewish communities; staffers have included former Assemblyman Paul Koretz. At present, Leslie Gersicoff staffs the group and Floyd Glen-Lambert, a (unionized) small businessman with roots in the Labor Zionist movement, is lay leader of the Los Angeles JLC chapter. Board members include labor attorney Lewis Levy, grandson of Louis Levy, providing a familiar linkage uniting three generations of Jewish activism within the organization. The first annual brunch was initiated in 1995 and has assumed ever larger proportions ever since. The five- hundred- person events include a who’s who in labor, Jewish, and civic life. They are part networking, part inspiration, and part recognizing achievement. Honorees have included icons such as Tom Bradley, Augustus Hawkins, Dolores Huerta, Edward Roybal, and Carmen Warshaw; Hollywood stars Ed Asner and Michele Lee; union leaders such as teamster Jim Santangelo and musician Serena Williams; and rising political stars like Antonio Villaraigosa and Hilda Solis. For several years the JLC has sent a large delegation to the annual Jewish Public Affairs Council’s lobby day in Sacramento. This year the JLC held labor Seders in both Los Angeles and San Francisco. The group maintains fraternal ties to African American, Latino, Asian, gay- and- lesbian, and women’s union groups. It also helped organize a labor leaders trip to Israel in 2007 that included meetings with officials of Histradrut (the Israeli counterpart to the AFL-CIO) advocates for unorganized foreign workers. Kenneth C. Burt is the political director for the California Federation of Teachers and a member of the state and national JLC boards. He can be reached at www.KennethBurt.com.